Before you read this, I feel it’s important you know that I worked for Serta for nine years and they are a customer of Leggett & Platt, my current company. Neither of those things have anything to do with what you’re about to read. The iComfort Sleep System looks fantastic. If you talk to people just about the aesthetics, they are wowed on how good it looks. If you place those beds in a typical bedding department, they are going to stand out to the consumer and scream value. The point of sale was right on. Again, when you walk into a bedding department, iComfort is going to catch your eye and draw you to the product. Serta did a great job with its neon, which is not a new concept, but it was a fresh approach that looked modern and really supported the overall brand they were selling. In addition, the RSA selling demo was simple to use and created a great experiential component for the consumer. I have seen mini-DVD players that never get used, so this device made a lot of sense. Maybe the most important factor to consider is the consumer message. You have to give Serta credit for its marketing campaign. The company took some great risks, spent outside of the co-op model, and drove consumers through retailers’ doors. If you own a mattress brand, it is much harder to walk into a retail location and tell them your brand is the reason to floor your product. Tempur-Pedic has really redefined brand value, which means you have to swing the door to have real leverage with the retailers these days. To just create a commercial isn’t enough either. Your message has to be on target, and iComfort got that right, too. If you really dissect this, Serta has simply followed the Tempur-Pedic model (until recently anyway). Serta just announced the launch of iSeries (thank you Steve Jobs, for giving real meaning to the letter “i”). 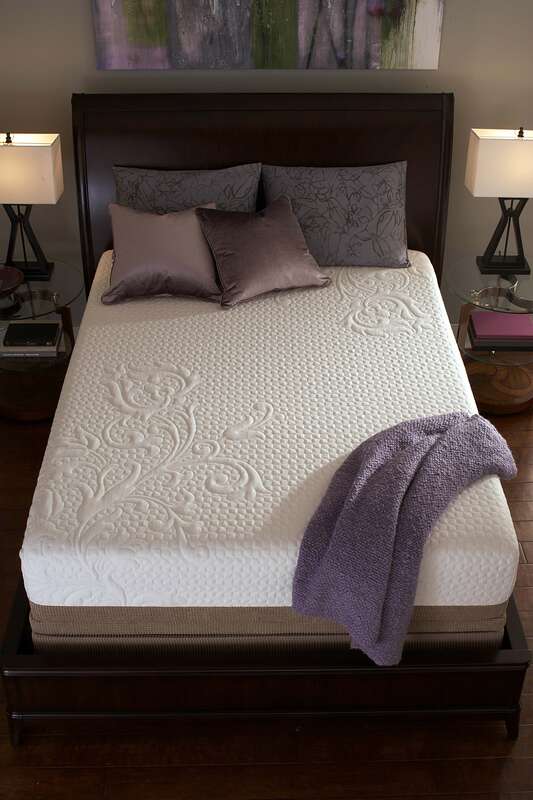 Consider that Serta will now leverage the success of its gel memory foam component and combine it with one of Leggett & Platt’s best innerspring offerings, which Serta has named Duet. This move will create value down to the $1,299 price point. It creates a bridge product for consumers to get into the iComfort product line, gives retailers a chance to build value in a broad range of price points, and combines two great selling stories, leveraging the best of two worlds. Thus far, Tempur-Pedic has boxed themselves in using only visco foam. Will this added dimension give Serta a competitive advantage? Other bedding producers have come to market with a specialty bedding line to compete with Tempur-Pedic and had limited success. I am not saying they didn’t do some business, but most brands didn’t have the high-impact result. The biggest overarching reason is because they didn’t do EVERYTHING right. These brands only got some of it right and that just doesn’t get it done. Am I overstating the success that Serta has had or missing any reasons why? Share your thoughts below. Serta is doing a great job with iComfort and the success is a credit, as you state Mark, to executing all levels. The product is finally gaining traction outside the controlled distribution of Serta. My concerns for the continued growth of Serta’s iComfort are as follows: 1. TPX is truly a consumer brand. Mindshare = market share. TPX is approaching a $1 billion ad spend the past 10 years on the product. 2. The rabbit, oops mean rapid, growth of the copying of the iComfort. By my count at least 10 mfgs have reproduced variations of the product all at lower prices. More confusion for the consumer. 3. The new line with inner springs has the potential to weaken the story of the iComfort not expand. 4. TPX has proven to be aggressive when they are threatened and we should never underestimate their power in the marketplace. Conclusion iComfort copied the original product at Sleep Innovations but they executed the rollout and messaging extremely well. Our industry is terrific at copying and slow on consumer centric innovation. The copying will continue until the product experiences some problems and then we will copy the next big thing.